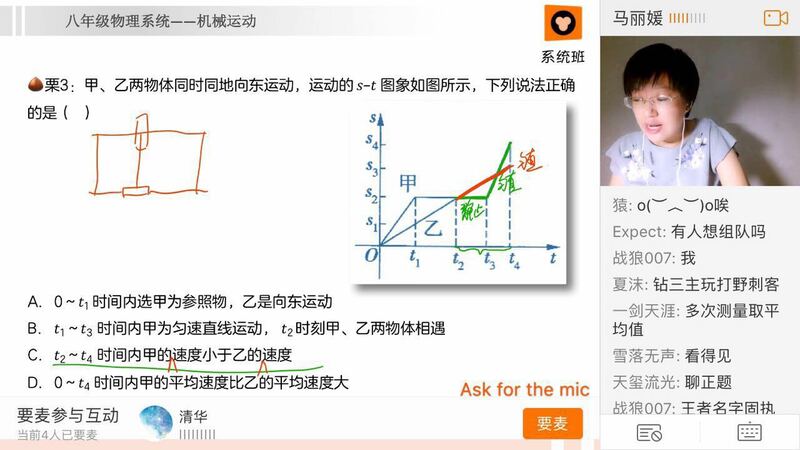 As live streaming propelled the KOL (key opinion leader, internet celebrity, or wanghong in Chinese) economy in China to go from hot to not in the past two years, this new social networking technology has been steadily transforming how the nation’s K-12 students get their after-school tutoring. Wang Yu live streams himself explaining physics formulas while students’ danmu (弹幕, literally “bullet curtain”), or moving commentaries, roll across the screen. The 34-year-old teacher rose to fame overnight after the local press reported his staggering hourly salary of RMB 18,000 ($2,700). Formerly a teacher at Chinese education giant New Oriental Education as well as at two of China’s top K-12 apps Zuoyebang (作业帮, literally “homework help”) and Xiaoyuansouti (小猿搜题, literally “a little ape searching for exam questions”), Wang now runs his own online education startup in Jinan, the capital of eastern China’s Shandong province. China has seen a surge in online education startups with 519 venture investments within just 2015, compared to 266 from the previous year, according to iResearch data (in Chinese). Most of these online education startups didn’t survive, however, due to their inability to earn a profit. A report (in Chinese) by BBT Commercial Research Institute shows that 70 percent of China’s online education companies were losing money and only 5 per cent went profitable in 2015. Then the sector calmed down. The number of investments dropped to 428 in 2016 while the industry continued to expand: market size grew from RMB 99.8 billion ($14.94 billion) in 2014 to RMB 156 billion ($23.44 billion) in 2016, according to iResearch (in Chinese). Starting in 2016—widely recognized as the “year of live streaming” with a market size of $3 billion—both traditional educational institutions and rising online education startups have been pressing forward in live streaming tailored to K-12 students. Zuoyebang and Xiaoyuansouti, both of whom started out with a focus on helping students solve homework problems, have launched their own live streaming services for teachers to give lectures. Traditional live streaming platforms YY (NASDAQ: YY) and Douyu also introduced an education section for students and teachers to interact. New Oriental and TAL (Tomorrow Advancing Life), China’s two leading private educators listed on NYSE, have set up new subsidiary brands dedicated to live streaming their top teachers. Tencent-backed Yuanfudao, founded in 2012 by former NetEase employees, raised $120 million in May to become the first unicorn K-12 online education app in China. As early as June 2015, it had set up a live streaming service to provide one-on-one tutoring at RMB 39 ($5.86) an hour. Now available on PC, tablet, and mobile, the app allows a teacher to tutor up to 1,000 students simultaneously. “Compared to lecture videos, live streaming provides a more immersive experience and deeper engagement,” reckons Shuai, emphasizing that educational products must put education first instead of blindly following suit. For instance, teaching assistants are assigned to big-size classes to answer students’ questions on QQ, Tencent’s 18-year-old social app that is still popular among young Chinese. For smaller classes, students can ask the teacher live during the lecture. Parents can contact teachers via the phone or WeChat to check on their kids’ progress. 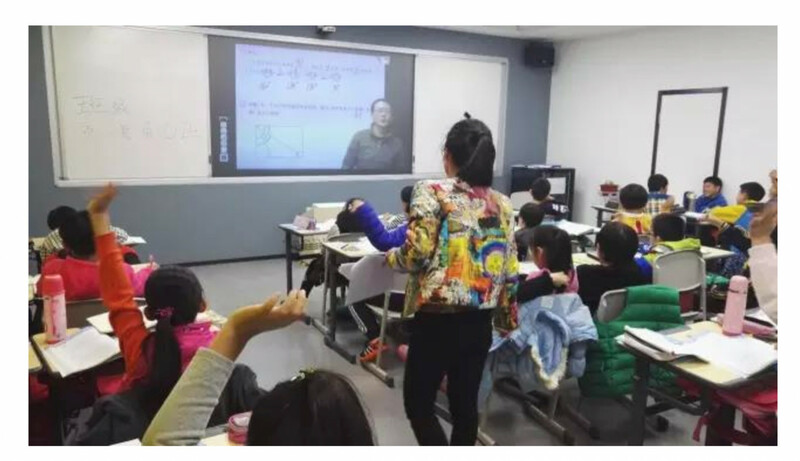 Unlike purely online education startups, long-running institutions like New Oriental and TAL have opted for the so-called “dual-teacher model.” Students gather at a learning center in their city to watch the lecturing teacher, mostly based in a Tier 1 city, live streamed on a big screen. A second teacher is present as a teaching assistant to help with homework and maintain classroom order. “The problem facing online K-12 services is that the buyers are parents while the users are students. A purely online method just won’t work,” Pan Xin, COO of New Oriental Online said to local media. Having an offline presence will thus build more trust among parents who are used to sending kids to an after-school tutoring center. The dual-teacher model has also been a fuel for New Oriental and TAL to launch into Tier 3 and 4 cities where educational resources are more scarce than China’s megacities. “If an online model works well, why would we consider going offline?” Shuai says to us of the startup’s online-only model. For New Oriental and TAL, an O2O model is more compelling as their offline legacies have bestowed them with hundreds of learning centers across China, which can be a forceful channel to convert offline users online.